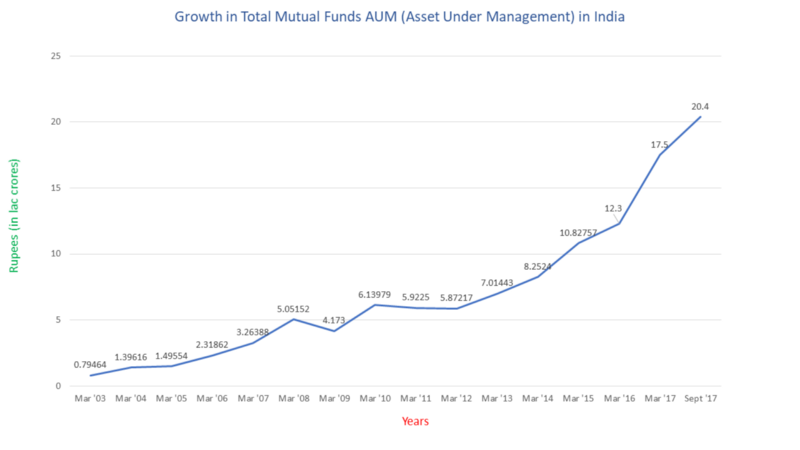 Mutual funds as an investment instrument have been on a rampant growth in India. So much so that the Total Mutual Funds Assets Under Management (AUM) doubled from Rs 10L Crore to Rs 20L Crore in the last three years. With low penetration of Mutual Funds in general and expectations of continued growth in AUM (projected to double again in the next three years or so), there has been a massive interest in offering Investment into Mutual Funds. Over the last few years a bunch of startups have jumped the bandwagon in offering investments in Mutual Funds (Direct and Regular). Some of the notable names include ET Money (by TIL), Coin (by Zerodha), Scripbox, Kuvera, Groww and this week Paytm also launched their Paytm Money app. Clearly from a consumer standpoint, the more choices the better. Over the last few days I played around the apps mentioned above. Here’s a short summary of my experiences with these apps. Coin: Zerodha, one of country’s most popular platform for equity trading and investments launched Coin (a platform to invest in Direct MFs) in Mar-2017. Coin launched their mobile apps in June-2018. Coin has over 1 Lakh investors using their platform which have invested more than 2,000 Cr. ET Money: ET Money has over 40 Lakh users using their platform and have processed over 2Cr transactions. In which case, they are definitely the biggest Mutual Fund platform in the country. Groww: YC backed groww has over 2 Lakh users on their platform. Scripbox: With Over 100 Cr raised, Scripbox is one of the most funded startups in this space. They have over 3.5 Lakh subscribers with over 600 Cr in AUM. Paytm Money: Powered by Paytm, Paytm Money had over 8.5L users sign up to be on the waitlist. Currently, they are allowing 2500 new users daily to start using the app. 1. The customer service/ops by Scripbox is outstanding. 2. Groww has a nice functioning CLM in place. 3. Zerodha by virtue of offering multiple products (equities, small cases etc) has good network effects and Coin has a great, well functioning website. 4. A few services like ET Money, Groww also let you import investments from other providers/fund houses. Do you use any of these apps? What has your experience been like? This entry was posted in fintech and tagged et money, groww, kuvera, paytm money, scripbox on September 6, 2018 by mayank.